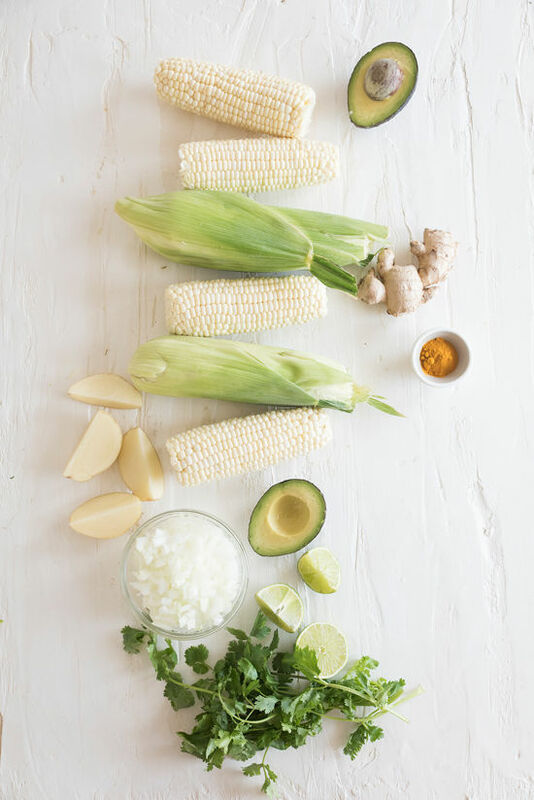 • prep all your ingredients as listed above. 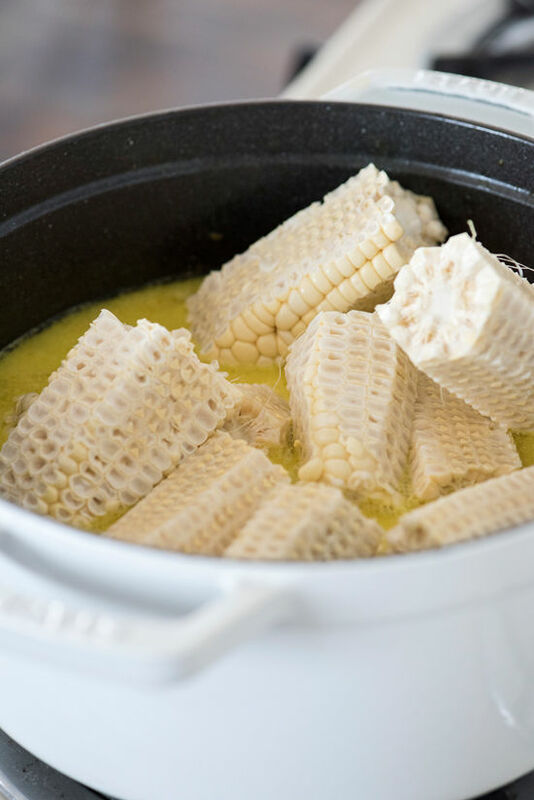 • break corn cobs in half and add to the pot with the kernels, potato, coconut milk, pieces of lime zest and 1 1/2 cups of water, bring to a boil and then reduce heat and simmer for about 25 minutes. 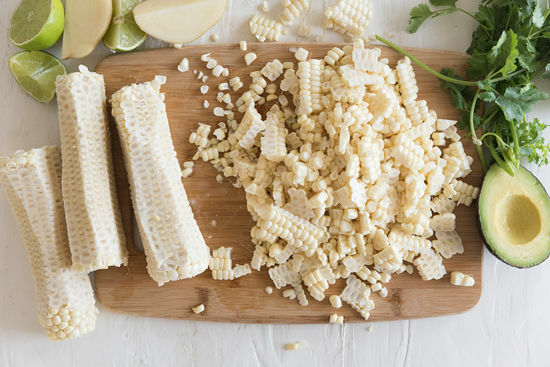 • discard corn cobs and lime zest. 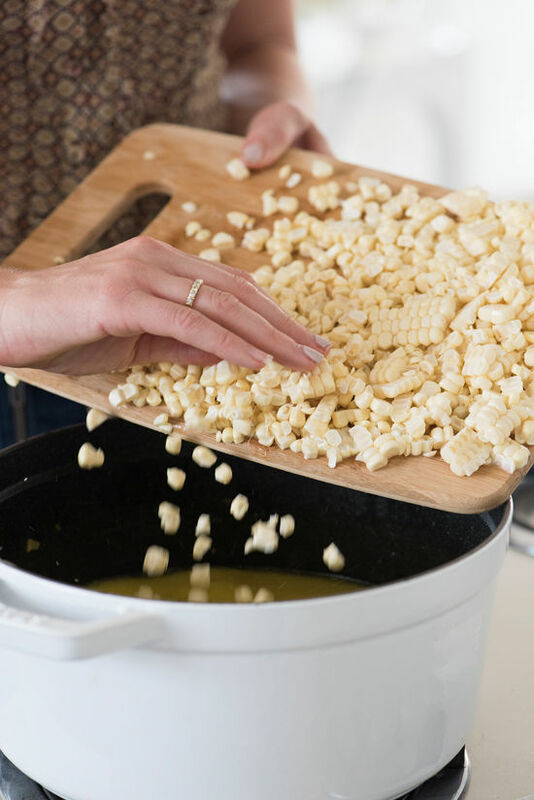 add 1/2 teaspoon salt and blend soup until smooth. 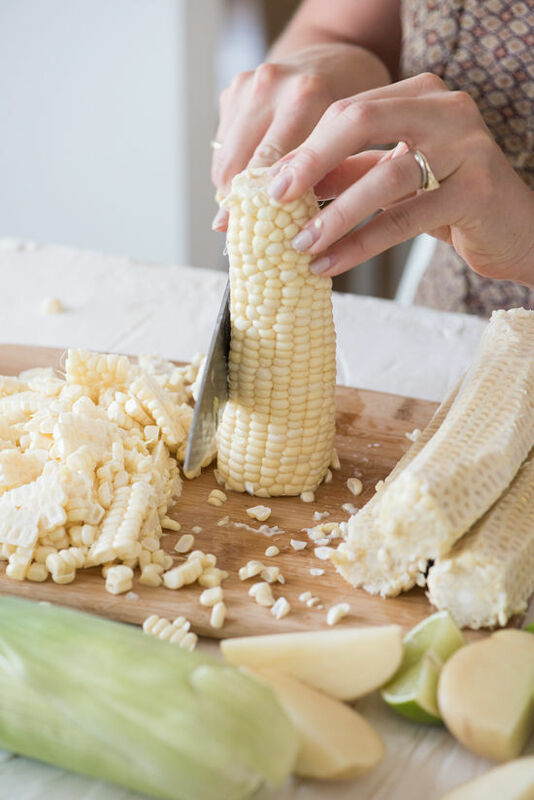 Let cool to room temp and put in refrigerator until completely chilled. 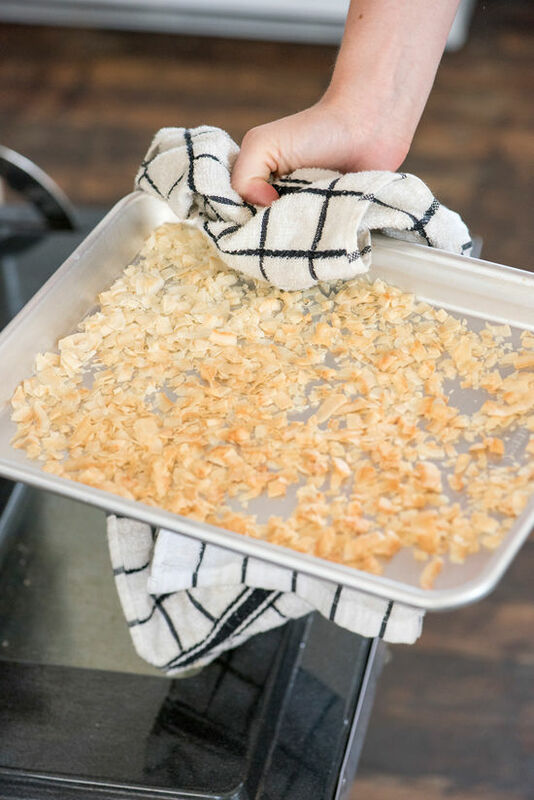 • while the soup is chilling, toast the coconut flakes at 350 degrees for about 5 minutes, until golden. 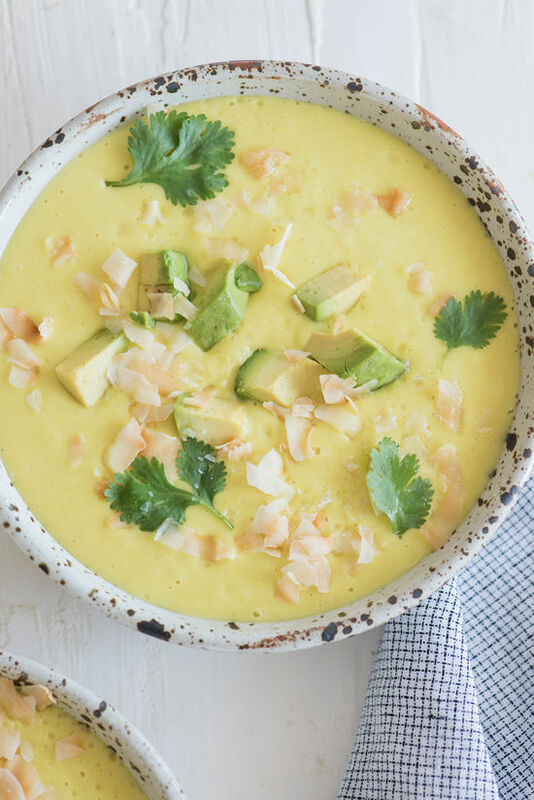 • stir in lime juice, adjust seasoning, thinning with water if needed. 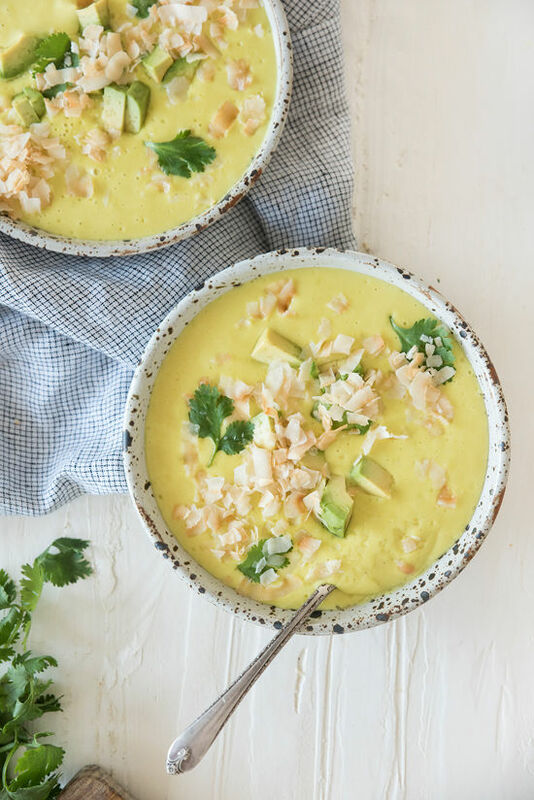 pour into bowls and top with coconut flakes, avocado, and cilantro. 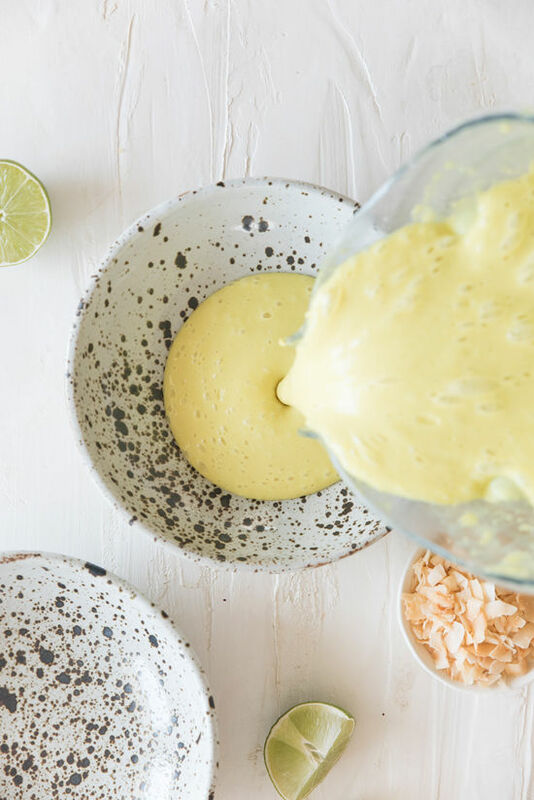 serve with more lime on the side! 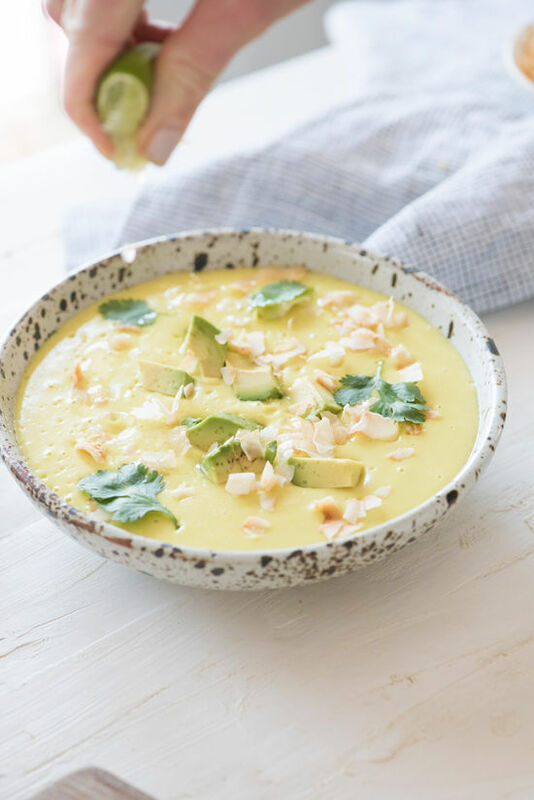 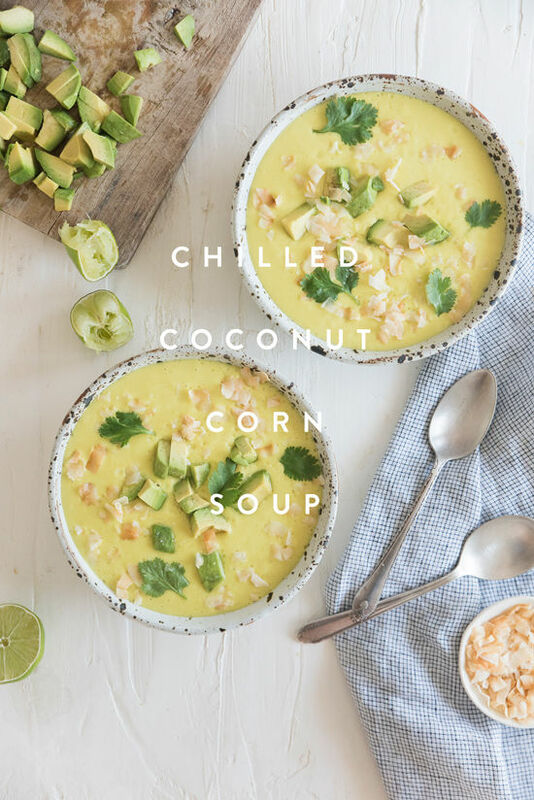 Congratulations and Thank you for sharing this lovely chilled coconut corn soup!